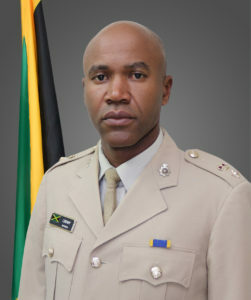 Lieutenant Colonel Dameon CREARY was born on 19 April 1976 in St Mary, Jamaica. He was the last of ten children for his parents. He completed secondary education at Oberlin High School and Wolmers Boys School. He enlisted in the Jamaica Defence Force in February 1996 and successfully completed Young Officers’ Training at the Commando Training Centre Royal Marines, Lympstone in 1997. He was awarded the Commonwealth Award for exceptional performance in training. Over the years Lieutenant Colonel CREARY completed military training in several other areas. 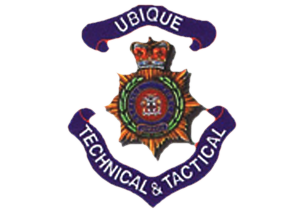 These include International Intelligence Officer Course, USA; Royal Engineers Troop Commanders Course, UK; Caribbean Junior Command and Staff Course, Jamaica; International Officer Explosive Ordnance Disposal Phase I & II Course, USA; International Association of Bomb Technicians and Investigation Regional Training Conference in Canadian Forces Base Borden, Canada; International Atomic Energy Agency’s Regional Training on Foundations and Physical Protection of Nuclear Material and Facilities Course, Peru; United Nations Humanitarian Civil-Military Course, USA; Law and Armed Conflict and Human Rights Course, USA and the US Army Command and General Staff Officers Course, USA. He has held a number of military appointments including Infantry Platoon Commander, Infantry Battalion Intelligence Officer, Adjutant and Records Officer, Infantry Company Second-In-Command, Regiment Training Officer (1 Engineer Regiment (JDF)), Squadron Commander, Director of the Jamaica Defence Force Technical Training Institute (JDF TTI), Detachment Commander of the Jamaica Defence Force Military Training Wing, Second-In-Command, 1 Engineer Regiment (JDF). Lieutenant Colonel CREARY has participated in numerous local and regional training exercises to include Exercise Peace Keeping Operations North in Guatemala and Dominican Republic. He has significant experience in military training and Technical and Vocational Education and Training (TVET) and was instrumental in the gaining of initial accreditation by the JDF TTI. Lieutenant Colonel CREARY is the recipient of the Medal of Honour for Meritorious Service. His civilian education includes a Bachelors of Science Degree (Hons) in Management Studies; Masters of Science Degree in National Security and Strategic Studies and Masters of Military Arts and Science. He is also a trained National Council on Technical and Vocational Education and Training (NCTVET) auditor and assessor. He is married to Jacqueline and has three children (Dameon, Dania and Jaida). His hobbies include listening, watching and taking part in sporting activities.